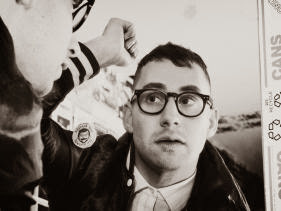 Bleachers frontman Jack Antonoff has announced he is starting his own New Jersey-themed music festival. Jack is planning to curate the first-ever annual New Jersey-centric music festival in hopes of renewing (or creating) the world’s perception of New Jersey as a cultural and artistic hub. The new fest, aptly called Shadow of the City, will feature eight bands, including Charli XCX, Vic Mensa, the Front Bottoms, MisterWives, Cults, How to Dress Well, Robert Delong and the headlining Bleachers, and will be held at the Stone Pony SummerStage at Asbury Park on Sept. 19. More details about Shadow of the City can be found here.